Hello there, Steve the sailor man! 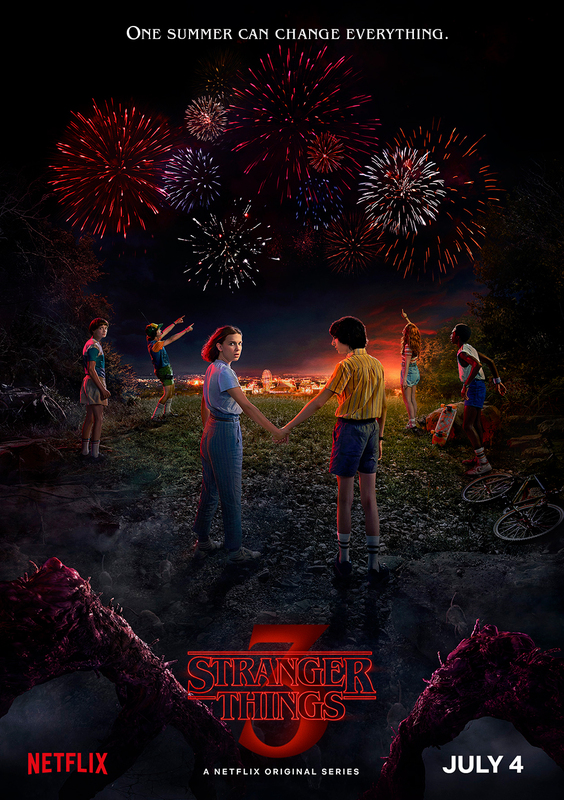 July 4th is usually a time to fire up the bbq, hit up the local pool and celebrate with family and friends, unless you live in Hawkins, IN. 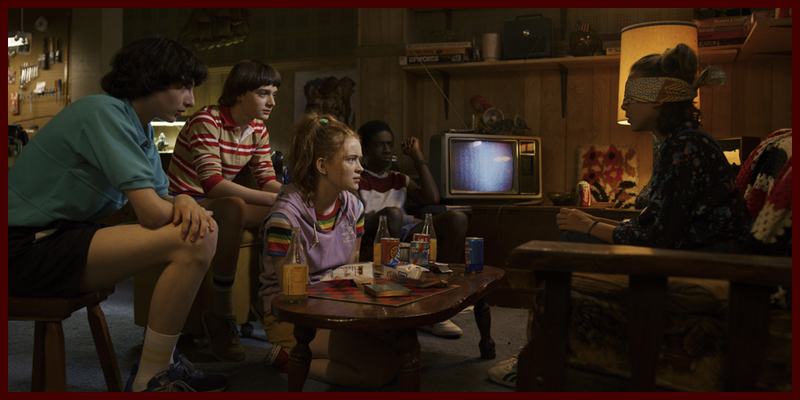 The first full trailer for “Stranger Things” season 3 has arrived and it is full of happy moments mixed with the usual evil stuff but hey, at least some of it takes place at a mall and a carnival right? 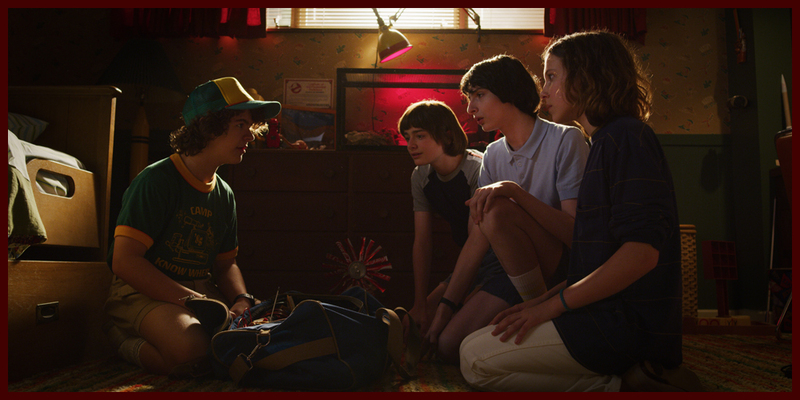 It seems like the kids are having fun hanging out and we love seeing Eleven and Max bonding. 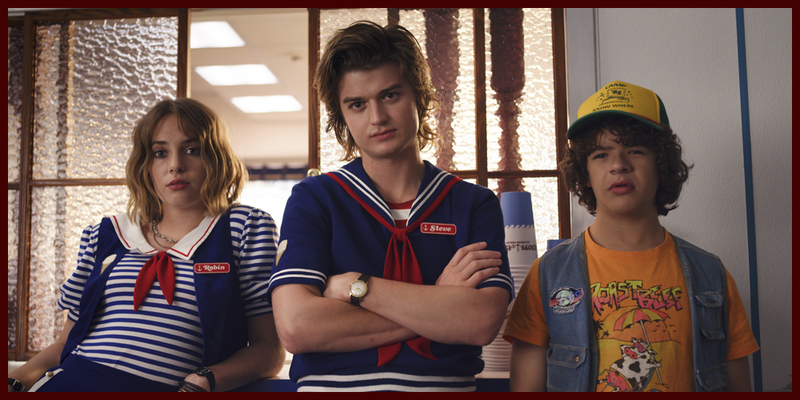 Steve, Jonathan, Nancy and Billy have gotten various summer jobs and the bromance between Steve and Dustin is still alive and well. 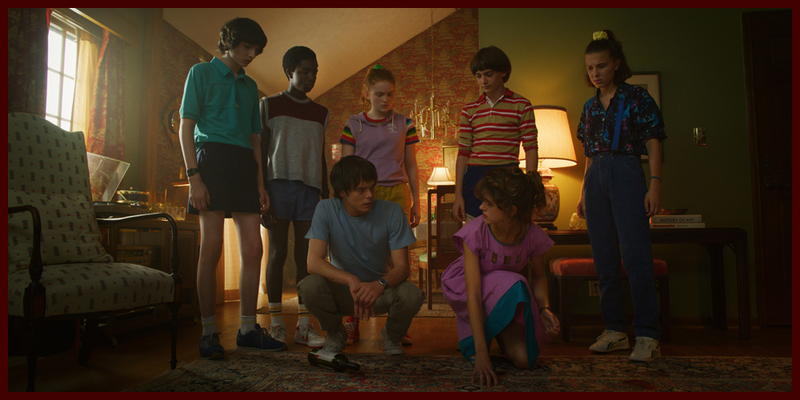 However, it looks like the kids will struggle with growing up and possibly growing apart (and of course some crazy inter-dimensional monster). -The kids build something that looks like an antenna. Who are they trying to reach? 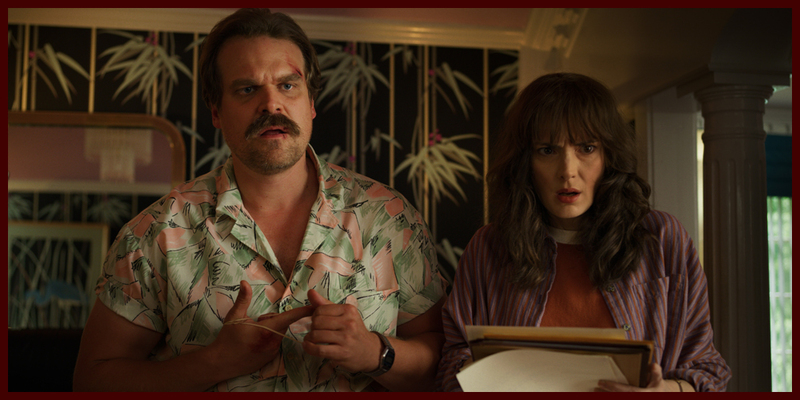 -Hopper is dressed up looking all Magnum PI. Is he on a date? Could he be waiting for Joyce? Please be Joyce. -Will is super sweaty. Is the Upside Down invading his dreams again? -I’d like to visit the Starcourt Mall STAT! -Seems like the residents of Hawkins are not fans of Mayor Kline but he’s throwing one hell of a fun fair. -Hopper looks pissed. Will he face off with that guy in the house of mirrors? -WTF is growing in Billy’s arm? How did he get infected? -What the hell is up with these masked people or creatures in the mall? -Erica is crawling through some air vents and we can’t wait to see what kind of trouble she gets up to this season. -I’d like a copy of Max & Eleven’s glamour shots, please. -Who the hell had the nerve to hurt Steve? Protect Steve at all costs! No one better die this season. 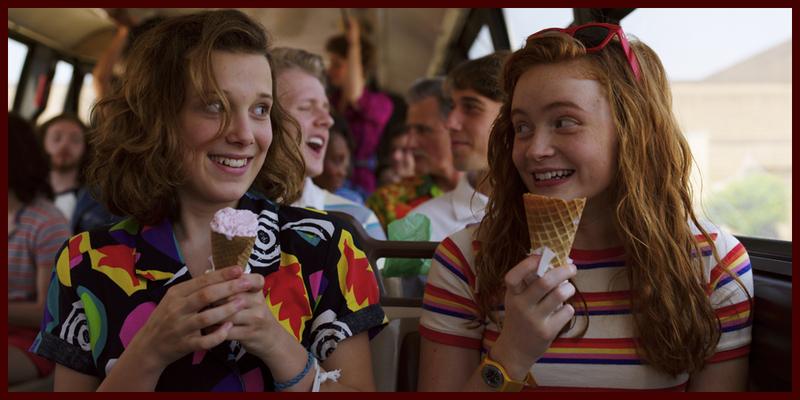 -Eleven and Mike are still going strong with a kiss. Awww, young love. -And whatever that monster is looks so gross, but I’m totally here for it. 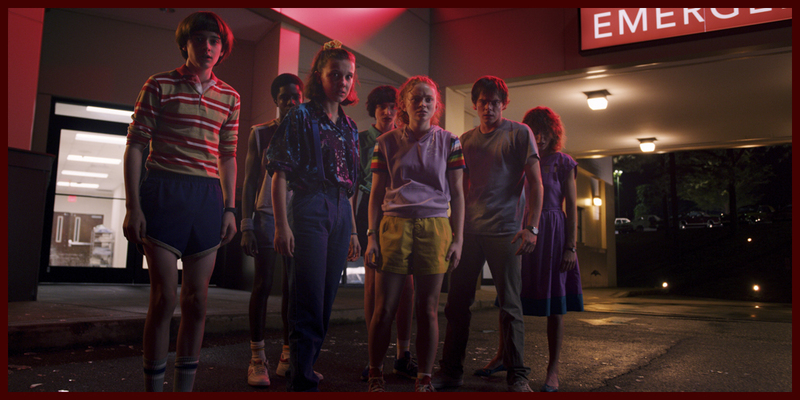 Check out the full trailer above and the new stills below. 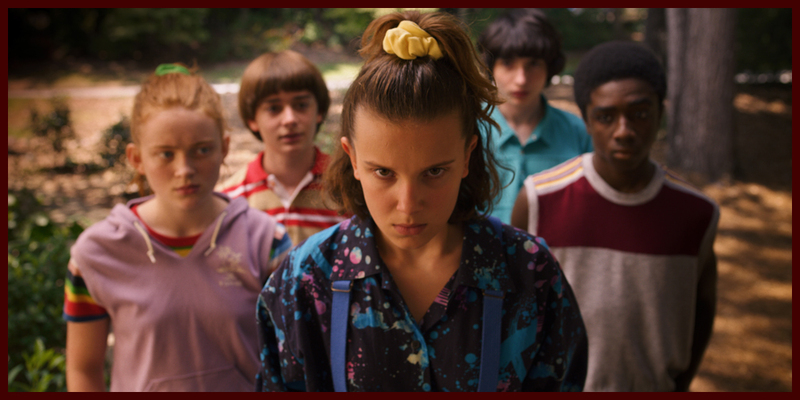 “Stranger Things” season 3 hits Netflix July 4, 2019. Are you excited?